How does ClassDojo protect children’s personal information? What information does ClassDojo collect? How does ClassDojo use the information it collects? Will ClassDojo Share Any Information it Collects? How does ClassDojo protect and secure my information? How long does ClassDojo keep information about me? What communications will I receive from ClassDojo? How will ClassDojo notify me of changes to this policy? What if I’m not in the U.S.? How can I contact ClassDojo with questions? Personal Data We Collect: Please see this chart for the detailed categories of information we collect from each user type as well as this chart for more detail on our mobile app permission and our Online Tracking Technologies Policy. You can also find more details below. How We Use the Information We Collect: We use the personal information we collect from students (or about students from teachers) to provide and improve the Service, for educational, security, and safety purposes, or as required by law. We will not require children to provide more personal information than is reasonably necessary in order to participate in the Service. See here for more information on our use of information collected from students, and here for additional information on our use of information collected from teachers, parents, and school leaders. Data Retention: We will not retain student personal information for any longer than is necessary for educational purposes and legal obligations, or to provide the Service for which we receive or collect the student personal information. Additionally, we protect students with our industry-leading 3-Tier Student Data Protection Policy: (1) we collect only minimal information from students necessary to register for the Service, (2) we automatically delete their feedback points awarded in school after a year, and (3) we delete students’ accounts if they’re inactive for more than twelve months. Note, however, some content within a student account will be kept after deletion of the account for school legal compliance reasons (e.g., maintenance of “education records” under the Family Educational Rights and Privacy Act (FERPA) or “student data” under state student privacy laws) and will not be deleted until we receive direction from the school. We store non-student user personal information, including content uploaded by children in non-school contexts, for as long as it is necessary to provide products and Service to you and others. For non-student users, personal information associated with your account will be kept until your account is deleted or until we no longer need the data to provide the Service, whichever occurs first. Note, however, that some content uploaded by a teacher, school leader, or parent may also be kept after the deletion of the account for school legal compliance reasons (e.g., maintenance of “education records” under FERPA or “student data” under state student privacy laws) and will not be deleted until we receive direction from the school. See here for more details. What Student Information is Shown Publicly? No student’s account, profile, or portfolio is made available or visible to the public through ClassDojo. Only the student, the student’s parents, and the student’s teachers or school leaders can see the student’s profile and portfolio. No child can upload content (such as a response to an activity, photo, video, drawing, journal entry, or document) to the Service on Portfolios except through their student account, or if their parent has allowed their child access to certain premium features, such as Classdojo Beyond School on the Kids tab (“Premium Features”)](https://classdojo.zendesk.com/hc/en-us/articles/360018137732) on the parent’s device. This can’t happen for children without either (1) the parent providing parental consent directly to ClassDojo or (2) the child’s teacher representing to ClassDojo that they have obtained any necessary parental consent. Parents are able to view their own child’s portfolio, including any Portfolio Comments (as defined below), on their own parent account after the teacher has approved the student-submitted content. Parents may see feedback points awarded in school if the teacher has elected to let parents see these. Class Story and School Story are visible by students, teachers, parents and school leaders who have logged into their accounts and are associated with that particular class or school. They are not viewable by the general public. Parents, teachers and school leaders can add content or comments to these stories, but students can only view or like content on these stories and are only able to do this once either the school or ClassDojo has obtained parental consent, if under 13. Teachers may share their classes, including feedback points, Portfolios, and Class Story, with other teachers or school leaders in their school. Content uploaded or feedback points awarded within Premium Features is viewable only by the parent and the children accessing such Premium Features on the parent’s device; the content is not viewable by the child’s teacher or other students. You own your data: We don’t own any content or information you provide or we receive - you (students, parents and/or schools) will own your content and information. Security and Privacy by Design and Default: We use security industry best practices to protect personal information, including using encryption and other security safeguards to protect personal information. We design products with security and privacy in mind from day one. See here for more information. Transparency and Choice: We will be transparent about our practices, so that you can make meaningful choices about how your personal information is used. If we make a material change, we will provide prominent notice by posting a notice on our service or this website page and/or we will notify you by email (if you have provided an email address to us). See here for more information. Right to Access and Correction of Data: We support access to and correction of student personal information by the student or their parent or legal guardian, either by 1) assisting the school in meeting its requirements for access by responding to requests we receive from schools, or 2) directly responding to requests from parents when the information is collected directly from a student and ClassDojo obtains the parent consent (not the school). Teachers, parents, school leaders and other users can contact us at privacy@classdojo.com or here to access, correct or update their personal information, or they can use the features in their account settings to do so. See here for more information, including about your additional rights of data portability and right to object or withdrawal consent. The choices and rights you have, including how to access, update, delete your information, and take your information out of ClassDojo. This policy applies to all products and services offered by ClassDojo, Inc. (“ClassDojo,” “we,” “us,” “our,” and our subsidiaries or affiliates). ClassDojo may be acting as both a Controller and a Processor as those terms are defined under the European Union’s General Data Protection Regulation (“GDPR”). For more information, please see below. Last updated: November 2, 2018. You can see past versions of this policy here on Github. This policy does not apply to websites or services or practices of companies that ClassDojo doesn’t own or control, such as third-party services you might access through links or other features (e.g., social media buttons or YouTube videos) on the Service. These other services have their own privacy policies, and we encourage you to review them before providing them with personal information. ClassDojo participates in the iKeepSafe Safe Harbor program. 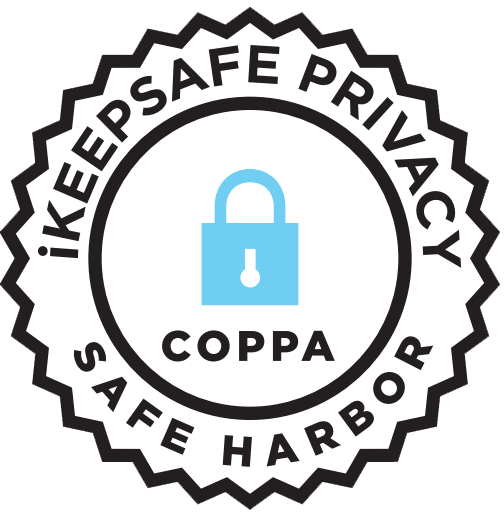 ClassDojo has been granted the iKeepSafe COPPA Safe Harbor seal signifying its Website, Platform, and Apps have been reviewed and approved for having policies and practices surrounding the collection, use, maintenance and disclosure of personal information from children consistent with the iKeepSafe COPPA Safe Harbor program guidelines. 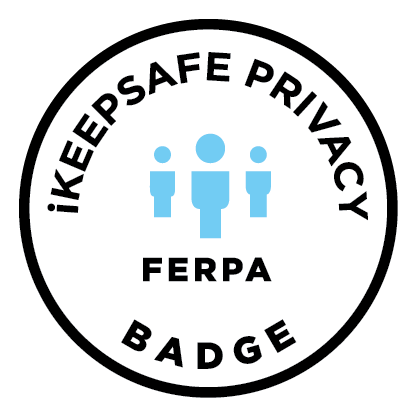 ClassDojo holds the iKeepSafe FERPA Certification signifying its Website, Platform, and Apps have been reviewed and approved for having policies and practices that are compliant with the federal mandates for FERPA. ClassDojo is also a signatory to the Student Privacy Pledge, agreeing to a set of principles intended to safeguard student privacy, including responsible stewardship, protection, and transparent handling of student personal information. Read more about the Student Privacy Pledge here. ClassDojo is certified COPPA-compliant, has a certification stating that its policies and practices help schools meet their FERPA obligations, and has also signed the Student Privacy Pledge. ClassDojo is a school communication platform that helps teachers encourage students in class and engage parents. In the classroom, teachers use ClassDojo to give students encouragement (or “feedback points”) for showing critical skills or strengths - ones like persistence, critical thinking, teamwork, and leadership. Teachers can also post assignments using Activities for students to complete on ClassDojo (“Activities”). They use the ClassDojo Apps or the ClassDojo Platform - if multiple devices are used, they will all sync with each other. Outside the classroom, teachers use ClassDojo to engage families and those parents may optionally purchase Premium Features to help encourage their children at home. Teachers can instantly message parents with text-based messages, pictures, videos, and stickers, and also add posts to Class Story and School Story - a private feed of moments from the classroom and school that only students, parents, “verified teachers,” and school leaders can see. Teachers may also add posts to individual Portfolios - a private portfolio of content that only the student, their teachers, school leaders, and the student’s parents can see. Parents access and set up an account on ClassDojo using a unique parent code provided by their child’s teacher, or through an email/SMS invitation directly from the teacher containing the unique parent code, or by choosing their child’s teacher from within the list shown within ClassDojo App or ClassDojo Website (the request to join the class must still be approved by the teacher). Parents can only view their own children’s feedback points (if elected to be shown by their child’s teacher) and portfolios, not those of any other students.Parents can also set up an account without using a unique parent code, but the account will not be connected to their child’s school (or any activity on their child’s account in school). Students can have their own account to view feedback given by teachers, and perform additional tasks, such as adding photos and videos of classwork to Portfolios, writing journal entries, creating drawings, responding to their teacher’s comments on their portfolio (teacher and student comments collectively “Portfolio Comments”), submitting responses to Activities (“Student Activity Responses”), and customizing their ClassDojo avatar - a cute monster that represents the student on ClassDojo. In order to have a student account created, students will need to either (1) have the student account created at school by their teacher (only after the teacher represents to ClassDojo that they have obtained any necessary parental consent) which allows them to then login (such as through the use of a QR code, class text code, or Google Login (as defined below)); or (2) receive a unique code from their teacher to create their own account with a username and password (which will require parental consent); or (3) have their parents create their student account at home after we have obtained parental consent. Students can also view feedback points given to them at home by their parents and upload content through access to the Premium Features from their parent's device. These at-home feedback points and content uploaded are not viewable by the child’s teacher or other students, but the customization of the monster through Premium Features may show up in the child’s student account and viewable in school (e.g., by teachers, school leaders, and other students). School leaders also play a meaningful role on ClassDojo. They can share notes, photos, and videos on School Story; only teachers, parents, and students connected to classes in the school can see these posts. School leaders can also create classes, share classes with teachers to give feedback to students, post to Class Story and Portfolios, add Portfolio Comments, message with parents, and see Highlights - a high-level overview of all the feedback and engagement happening within their school. More information on how the Service operates is located here and your participation and use of the Service is governed by our Terms of Service (“Terms”). ClassDojo is a private school communication platform that brings teachers, students, parents together. Learn more here. ClassDojo collects the minimal amount of information from students necessary to register for an account on the Service. This information is necessary to enable us to comply with legal obligations and given our legitimate interest in being able to provide and improve the Service and for security and safety purposes. Additionally, ClassDojo follows the Federal Trade Commission’s (FTC) COPPA rules for parental consent. Student Account Creation Currently student accounts are created in the following ways: (1) by the student’s parent; (2) by the student’s teacher; or (3) by the student themself if the teacher elects to provide the student with a unique code. (1) By the parent: When a parent sets up an account for their child, they will first need a parent account. In order to set up a parent account and be connected to their child’s school, parents must first receive the unique parent code provided to their child by their child’s teacher or sent through an email/SMS invitation directly from the teacher containing the unique parent code or choose their child’s teacher from the list shown from within the ClassDojo App or ClassDojo Website (the request to join the class must still be approved by the teacher). Parents can also set up their account without this unique access code, but will not be connected to their child’s school (or any activity on their child’s account in school, such as feedback points or student uploaded content, Portfolio Comments or Student Activity Responses). In accordance with COPPA, we may ask the parent to provide the date of birth or age of their child, and if the child is under 13, we will also then seek to obtain verifiable parental consent in order to proceed with creating their child’s account. If a parent is connected to their child’s school, we don’t ask the child’s parent for any additional information regarding their child during the student account creation, but link the account to the name and information provided by the child’s teacher. If the parent is not connected to their child’s school, the parent may provide their child’s first and last name (at the option of the parent). Once we have obtained parental consent, the child’s account will be set up and a QR code will be accessible on the parent's device to allow the child to log in to their student account. Although not required under COPPA, we may choose to impose parental consent requirements on students 13 and above at our discretion. (2) By the student’s teacher: If a student’s school or teacher elects to utilize student accounts in school or otherwise sets up a student’s account, the school will be responsible for obtaining any necessary parental consent under COPPA (including if they choose to act as the agent of the parent and consent on the parent’s behalf - commonly referred to as “school consent” under COPPA) to create the student account on behalf of the student and let students access their accounts. The teacher will provide the student’s name to set up the account. After doing so, if the teacher is creating the student’s account, the teacher will be able to share a QR code unique to each student (or one QR code for the entire class - at the teacher’s discretion). Students can scan the QR code and either enter their account directly (if an individual QR code) or tap their name from the list of names shown to them to (if one QR code per class) and log in and start using their student account. Additionally, teachers may choose to allow students to log in on the Service using their Google for Education or other Google Accounts (“Google Login(s)”). Please see here for more information on Google Login, including what we collect through the use of Google Login and how we use that information. We don’t ask students to enter any other personal information for their account registration when a teacher sets up their account. Please note that if you, as a parent, provide an email to the school when the school is obtaining parental consent, we may send an email out to you asking you to verify your child’s account, but you will not receive any other emails unless you have opted in to email marketing or have separately created an account on our Service. For more information on school consent, please see the FTC’s COPPA FAQ’s. (3) By the student: Alternatively, a teacher may choose to allow students to set up their own account using the unique code provided by the teacher. When students set up their own ClassDojo account, we ask students to provide a unique username (we advise students not to use their real names), a password and the unique code they have been given by their teacher to connect with the class. Consistent with the requirements of COPPA, we also ask for the child’s age, and a parent or guardian email address from the child so we can seek verifiable parental consent or provide parental notice (as applicable). We will not use parent emails provided this way to market our Service to the parent, unless the parent has opted in to email marketing or has separately created an account on our Service. We don’t ask students to enter any other personal information when setting up an account. Any student account (or access to a student account) created for the student by the parent, or the student’s teacher in class, or the student directly, are linked together (these are not different accounts). Photos, Videos, Documents, Drawings, Student Activity Responses, and Journal Entries Once a student account is created (whether created by the student’s teacher or parent or the student themself) and parental consent is obtained, students will be able to take and upload photos, videos, documents, Student Activity Responses, create drawings, and write journal entries (which may contain personal information) to their account on Portfolios which will be collected by ClassDojo once the content has been actively saved by the child within the Service. Until the content is actively saved by the child, it is temporarily stored locally on the child’s device. The portfolio can only be viewed by the student themself, the student’s parents, and the student’s teachers and school leaders. If the school or teacher elects to utilize student accounts in the classroom, the school will be responsible for obtaining any necessary parental consent under COPPA. Additionally, the student’s teacher must approve any post made by students (whether posted from home or in school), including any Student Activity Responses, before it is shared with parents on portfolio. Any content uploaded by a student in their student account created by their parent or in the classroom by their teacher or themselves will appear in the same student account (these are not three different accounts). Viewing Stories Students with student accounts may also view or “like” content on the Class Story and School Story, however, they will not be able to post content (such as videos or photos) to either the Class Story or School Story. Currently, students are limited to posting content to just their own portfolio or through access to the Premium Features given to them by their parents (on their parent’s device). Portfolio Comments If a student’s teacher has elected to provide Portfolio Comments on their Student Activity Responses or any other content uploaded by students to Portfolios, the student may also respond to these comments. Prior to any student-uploaded content being viewed by the student’s parents, the teacher must first approve this content. Additionally, prior to this approval of portfolio content, any Portfolio Comments between the teacher and the student can’t be viewed by the student’s parent, but any connected parents will receive a notice indicating that Portfolio Comments is being utilized by their child’s teacher and can discuss the use of Portfolio Comments with their child’s teacher. Once the Student Activity Responses (or other content) has been approved by the student’s teacher, the Portfolio Comments will then be viewable by the parent (but may have been previously edited by the student’s teacher). Parents may choose to allow their children to access and use certain Premium Features on the parent's device (the “Kids Tab”). A parent will first need to have their own parent account, and be required to use either their Apple ID, Google Account, or other payment method to purchase the Premium Features. Prior to allowing your child (or children) access to the Kids Tab within the Premium Features, we will also require parental consent. Once we have obtained parental consent, the children’s features will be unlocked for their children to utilize on their parent's device. Although not required under COPPA, we may choose to impose parental consent requirements on students 13 and above at our discretion. In the Kids Tab that is utilized by a child, we collect photos, as well as audio and video recordings made by the child once the content has been actively saved by the parent or child within the ClassDojo App. Until the content is actively saved by the parent or child, it is temporarily stored locally on the parent’s device. This content is then viewable by the parent and child within the Premium Features section of the app and is not viewable by the child’s teacher or other students. This content can be deleted by the parent or child. In addition, the child can customize their moneter, and these changes to their monster may be shown in their student account in class. In addition to the information listed above, we automatically collect some information from any use of our Service as set forth in the "Information collected automatically" section, this includes device data (such as platform, app version and device ID) and product event data (such as whether the children’s area was accessed or the last activity a child started) from the parent's device when utilized by their child, such as for Premium Features or logging in via QR code to their student account on the parent's device . We also receive from the child’s teacher (and link to the student’s account) whatever name he or she has provided for the student, the student’s grade, the feedback points given by that teacher, and content uploaded by the teacher to the student’s portfolio (such as student responses to activities and Portfolio Comments). Teachers can choose to provide full names for students (e.g., first name and last name) when setting up their class; they can also opt to only provide non-identifying information (e.g., just first name and seat number). This chart details the personal information we collect, how we use it, and where it is stored. We use this information to provide and improve the Service to the child, for educational, security and safety purposes, as required by law, or to enforce our Terms. We will not require children to provide more personal information than is reasonably necessary in order to participate in the Service. If we discover that we have collected information from a child in a manner inconsistent with COPPA, we will take appropriate steps to either delete the information, or immediately seek the parent's consent for that collection. We do not disclose any personal information about children to third-parties, except to service providers necessary to provide the Service, authorized school personnel (such as school leaders) as directed by the child's school, as required by law, or to protect the security of the Service or other users. Information collected from students (including personal information and information collected automatically) is never used or disclosed for third-party advertising. We also do not place any third-party advertisements in student logged-in areas of the Service. Additionally, personal information collected from students is never used for behaviorally-targeted advertising to students by us or any third-party, and children’s personal information is never sold or rented to anyone, including marketers and advertisers. ClassDojo has been certified by iKeepSafe, an FTC-approved COPPA Safe Harbor, for compliance with their COPPA Safe Harbor program. We don’t ask for or require children to provide personal information beyond that which is reasonably necessary to use ClassDojo. Information collected from students is never used or disclosed for third-party advertising or any kind of behaviorally-targeted advertising, and it is never sold or rented to anyone, including marketers or advertisers. Please see this chart for the detailed categories of information we collect from each user type and how we use the information. ClassDojo may send push notifications to students - for example, letting them know when their weekly report is ready, or telling them about an achievement milestone they reached! We require children provide a parent’s email address before he or she can receive push notifications from ClassDojo (or have a student account previously set up on ClassDojo by their parent or teacher, with any necessary parental consent obtained). We will then provide the parent with notice (if the account was set up by them or their child) and provide the parent the opportunity to prevent further notifications. The device identifier for a child’s account will only be associated with other personal information once parental consent is provided. If you are a student or a parent of a child and no longer want these communications to be sent, please either turn off the push notifications on your device, or contact us at privacy@classdojo.com. Before ever sending a push notification to a child, if the child or the parent sets up the child’s account on the Service, we will provide notice to parents, or obtain parental consent. We rely on teachers to obtain any necessary personal information if they set up the child’s account. Parents can always opt-out (or withdraw consent) later as well by turning off the push notifications on their child’s device or contacting us at privacy@classdojo.com. No student’s account, profile, or portfolio is made available or visible to the public through ClassDojo. Only the student, the student’s parents, and the student’s teachers or school leaders can see the student’s profile and portfolio. No child can upload content (such as a photo, video, drawing, journal entry, or document) to the Service except through their student account, or if their parent has allowed their child access to certain Premium Features on the parent's device. This can’t happen for children without either (1) the parent providing parental consent directly to ClassDojo or (2) the child’s teacher representing to ClassDojo that they have obtained any necessary parental consent. If a student adds content to their account in the classroom, students can’t view each other’s individual student accounts or portfolio unless they have intentionally chosen another student’s name from the list of names shown to them or viewed the camera roll locally on the device that may be saving photos and videos taken by students. Teachers also have the option to use individual QR codes specific to each student for login purposes. Parents are able to view their own child’s portfolio (through their own parent account) after the teacher has approved the student-submitted content, including Portfolio Comments and Student Activity Responses. Please note that parents may not see prior drafts of the student-submitted content or Portfolio Comments prior to the final teacher approval that allows parents to access and view and may not see all feedback points awarded by the teacher in school if the teacher has elected not to show these. Class Story and School Story are visible by students, teachers, parents and school leaders who have logged into their accounts and are associated with that particular class or school. They are not viewable by the general public. Parents, teachers and school leaders can add content or comments to these stories, but students can only view or like content on these stories and are only able to do this once either the school or ClassDojo has obtained parental consent, if under 13. Teachers may share their classes, including feedback points, Portfolios, and Class Story, with other teachers or school leaders in their school. Please note that if the teacher chooses to project their own ClassDojo teacher account in their classroom, students physically present in that classroom may see other students’ names and total feedback points - this is similar to how paper-based sticker charts displayed in a classroom might work. Students’ portfolios of classwork may also be visible from the teacher account. Teachers, however, can choose to never project or display their own teacher account in class, and therefore keep student feedback points and Portfolios private for each student, their teacher(s), and their parents — and many do! Content uploaded by children or feedback points awarded within Premium Features is viewable by the parent and any children accessing such Premium Features on the parent's device; the content is not viewable by the child’s teacher or other students. The customization of the monster by the child within Premium Features may be viewable within the child’s student account (and thus viewable by the child’s teacher or other students in the classroom). By default, the full set of feedback and content posted, including Portfolio Comments and Student Activity Responses, to a student’s account is private to the student, their teacher(s), school leader, and their parents (once the content is approved by the teacher). If a teacher displays their teacher account publicly in class, then students may see other students’ total feedback points, and potentially classwork on Portfolios. Parents can view all teacher-approved posts, including Portfolio Comments and Student Activity Responses, shared on their child’s portfolio, as well as every post shared on Class Story and School Story. Students can view and like, but not upload, content and comments on Class Story and School Story (once parental consent has been obtained by ClassDojo or their school/teacher). Parents may not see all feedback points awarded by the teacher in school if the teacher has elected not to show these. Content uploaded or feedback points awarded within Premium Features is viewable by the parent and the children accessing such Premium Features on the parent's device; the content is not viewable by the child’s teacher or other students. The customization of the monster by the child within Premium Features may be viewable within the child’s student account (and thus viewable by the child’s teacher or other students in the classroom). How Long Does ClassDojo Keep Children’s Information? Minimal information: ClassDojo collects the minimal amount of information from students necessary to use the Service. For more information, see above. In addition to the information entered by the child, we automatically collect some information from any use of our Service as set forth in the “Information collected automatically” section. One year deletion policy for feedback points: To protect students, ClassDojo sets limits on how long students’ feedback points given in the classroom are retained. For all students, feedback points older than 12 months are automatically deleted. For example, if a teacher sets up a class on ClassDojo on January 1, 2018, on January 1, 2019 any feedback points added in that class on or before January 1, 2018 would be deleted (and will continue to be deleted on an ongoing basis as each point reaches 12 months in age) regardless of whether or not a student has his or her own account (and if that account is active). This means feedback points cannot exist long-term. Teachers can also delete feedback points at any time. For more information on feedback points that parents can award at home, please see our FAQ. Deleting inactive accounts: If a student’s account is inactive for twelve months or more (meaning no teacher has given feedback to the student, added content to a student’s portfolio, or messaged with the student’s parent(s), and neither the parent(s) nor the student have logged into their accounts), ClassDojo will automatically delete the student account. Learn more about how we delete student accounts here. Please note that certain content 1) within a student account or student portfolio (uploaded by the student, teacher or parent), such as photos, videos, Student Activity Responses or Portfolio Comments, or 2) uploaded by a teacher, school leader, parent, or student through Class Story or School Story may be kept after deletion of a student account as we are required to retain these at the direction of the school (e.g., for legal compliance reasons such as maintenance of “education records” under FERPA or “student data” under state student privacy laws). Please see our FAQ about how to request deletion of this content. For more information on the deletion of content related to our Premium Features (and not school based accounts or content), please see our FAQ. We only keep a child’s personal information for as long as the account is active, unless we are required by law or the child’s school to retain it, need it to enforce our policies, or to ensure the security of our community. Additionally, we protect students with our industry-leading 3-Tier Student Data Protection Policy: (1) we collect only minimal information from students necessary to register for an account on the Service, (2) we automatically delete their feedback points given in the classroom after a year, and (3) we delete students’ accounts if they’re inactive for more than twelve months. Please note that this does not include content uploaded by the teacher, parent, or student to the portfolio as we are required to retain these at the direction of the school. 1) If a child (with parental consent) sets up their own account or a parent or guardian sets up their child’s account; or a parent allows a child access to Premium Features on their device: If your child’s account was set up directly by your child (with your consent) or you as their parent or legal guardian, set up their account, or you allow them access to Premium Features on your device, and you have a parent account connected to the student, you may access, review, correct, or delete any of your child’s personal information in the Service by emailing privacy@classdojo.com or by contacting us here. Any content uploaded (e.g., photos, videos, Student Activity Responses, Portfolio Comments), however, that is requested as part of a class at a school, or otherwise directed by your child’s teacher or school, is retained at the direction of the school (e.g., for legal compliance reasons such as maintenance of “education records” under FERPA); to correct or delete this content, please contact the appropriate official at your child’s school. If the school determines that the request should be implemented, the school may either make the change themselves or submit the request to ClassDojo by emailing privacy@classdojo.com or by contacting us here. Additionally, at any time, you can refuse to permit us to collect further personal information from your child, and can request that we delete the personal information we have collected from your child by emailing privacy@classdojo.com or by contacting us here. Please keep in mind that deleting records may require us to terminate the account in question. 2) If your child’s account was set up by your child’s school (e.g., to allow the student to login via a QR code, class text code, or Google Login): If your child’s school set up the account directly and obtained your consent (or chose to act as an agent and consent on your behalf) and you do not have a parent account connected to your child, please contact the appropriate official at your child’s school to access, review, correct or delete any of your child’s personal information in the Service. If the school determines that the request should be implemented, the school may either make the change themselves or submit the request to ClassDojo by emailing privacy@classdojo.com or by contacting us here. A parent or legal guardian who has a ClassDojo parent account and is already connected to their child (but did not set up their child’s student account) may at any time contact ClassDojo directly by emailing privacy@classdojo.com or by contacting us here to access and review their child’s personal information in the Service, but correction or deletion requests should still be made to the child’s school first. For either method described above, we will use commercially reasonable efforts to process such requests in a timely manner consistent with applicable law. We will need to verify your identity, for example by requiring that you provide acceptable forms of personal identification. We believe parents who have set up their child’s account, or allow their child access to Premium Features on their device, should always be able to delete their child's account, request for us to delete their child’s personal information, or obtain a copy of their child's personal information. Just email us at privacy@classdojo.com and we’ll be happy to help. Please note, however, that certain content uploaded by your child (in the classroom or otherwise directed by their teacher) is retained at the direction of the school for legal compliance reasons and you will need to first contact the appropriate official at your child’s school to correct or delete this information. If your child’s teacher set up their account directly, and you do not have a ClassDojo parent account, please send your request to your child’s school - we will process requests we receive from the school in a timely manner. We collect two types of information about you: (1) information that you voluntarily provide us by using the Service (described below under “Information you provide to us”) and (2) information collected automatically as result of your use of the Service (described below under “Information collected automatically”). We may also receive information about you from third-party sources (as described below under “Information Received from Third-Party Sources”). The types and amounts of information collected will vary depending on whether the user is a teacher, school leader, parent or student (e.g., we collect minimal information from students to register for an account on our Service) and how they use ClassDojo (e.g., if teachers join their school, we may need to collect school address information). ClassDojo asks for some limited information directly from teachers, school leaders, parents, and students (such as account information), and also collects some information automatically (such as crash reports when errors occur) in order to provide you with the best possible ClassDojo experience. We ask for and collect the following personal information about you when you use the Service. This information is necessary for the adequate performance of the contract between you and us, for our legitimate interest in being able to provide and improve the Service, and to allow us to comply with our legal obligations. Without it, we may not be able to provide you with all the requested services. Account Sign-up and Profile Information To create a ClassDojo account as a teacher, school leader, or parent, you may be asked to provide some basic information such as your first and last name, email address, telephone number, password and a profile photo. If a student’s teacher is creating the student account on behalf of the student, they will provide the student’s name and grade. This same information is also used to create the student account on the parent’s behalf (the parent does not currently need to provide any additional personal information of their child if a parent is connected to the school with the unique parent code). If the parent is creating their child’s account and is not connected to their child’s school, they may provide additional information about their child (such as first and last name). Teacher and school leader profiles may be viewed by other teachers and school leaders in the same school; however, no teacher, parent or student profile is made available or visible to the general public through the functionality of our Service. School Information and Collaboration Features: If you are a teacher or school leader, as part of the profile information you provide, you may choose to associate your account with an existing school or may enter a new school name and possibly your school’s address if we do not have it already. If you are using the Service as a teacher, school leader, or parent, we may ask you for permission to collect and store your precise geolocation information to help us identify schools located nearby for you, including to help connect your parent account to your child’s school. By connecting you with your school, the Service may enable and provide additional collaboration features for teachers and school leaders within the same school (and parents of children at that school) such as adding photos, videos, and text updates on Class Story or School Story for parents, students and other verified teachers in that school to see. Learn more about our current collaboration features and what information may be collected and shared from teachers, school leaders, students and parents and who can view these stories here. Class Information: As a teacher, you enter the class year (e.g., first grade) and the names of the students in your class. It is the teacher’s choice what they enter here: for example, teachers could enter John S or John Smith. Alternatively, teachers can also upload a spreadsheet to the Service with the student’s first and last names, or choose students from the School Directory if they are already in a class of a verified teacher within the school. If a teacher opts to share the classes they set up on ClassDojo with other teachers or school leaders in their school, such as teachers they co-teach with, then those teachers can also see that class’s information. Feedback Points: As a teacher or school leader, you can customize a list of feedback types that you want to encourage or recognize using feedback points, such as persistence, teamwork, or leadership. These feedback points cannot be viewed by the general public through our Service. A student’s feedback points can only be viewed on ClassDojo by that student, the teacher who awarded them, that student’s parents (if the teacher has elected to show them to the parent), and other teachers or school leaders the class is shared with. If the teacher chooses to display totals to the class, other students in the class may be able to see each other’s aggregated totals (but not individual feedback points). Parents can also choose to customize and award feedback points at home to their children through the Premium Features functionality. These feedback points at home are only viewable by the parent and any children accessing the Premium Features on the parents device and are not viewable by the child’s teacher or other students. Messaging: As a teacher or school leader, you can privately message with individual parents that have signed up for the Service, including through Portfolios, or send broadcast messages to all parents at once, using the ClassDojo Messaging, Class Story, and School Story features. As a parent, you can also message with your child’s teacher through ClassDojo Messaging as well as through comments on Portfolios, Class Story, and School Story posts. As a teacher, school leader, or parent, your name and profile photo may be displayed to the person with whom you are messaging, and if you are a teacher or school leader, you may receive a ‘read receipt’ showing how many parents have read your message. Please be aware that by using a broadcast messaging feature, such as Class Story or School Story, any messages, photos, videos or other content shared can be viewed by all parents, students (whose parents have provided verifiable parental consent to ClassDojo (or the student’s teacher has represented they have obtained any necessary parental consent)), and teachers and school leaders that are members of that class or school, respectively. In the case that a photo or video is shared in a broadcast message, Class Story, or School Story showing a student who does not want photos taken of him/her (or whose parent does not want photos taken of him/her), the student or parent can contact us at privacy@classdojo.com to remove it, subject to any photo or record being deemed an “education record” under FERPA. If a photos or video is considered an “education record” you will need to first contact your child’s school to request removal. For more information on when photos or videos are considered an “education record” please see the Department of Education’s guidance here. We will store messages, including those on Class Story and School Story, and any content sent with the messages (e.g., photos), to provide the Service, and to help teachers and school leaders keep a log of their communications with parents. For more information on how long these are retained, please see our FAQ. Portfolio Comments: Teachers can also add Portfolio Comments to their students (e.g., on any student’s uploaded content, including Student Activity Responses) within Portfolios (including prior to any content being shown to the student’s parent). Once the teacher has approved any student-uploaded content, the Portfolio Comments will then be viewable to the child’s parent (but may have been edited by the student or teacher prior to being shown to the parent). Prior to this approval, any Portfolio Comments between the teacher and the student can’t be viewed by the student’s parent, but any connected parent will receive a notice indicating that Portfolio Comments is being utilized by their child’s teacher and can discuss the use of Portfolio Comments with their child’s teacher. Content: Teachers, school leaders, and parents may upload photos, videos, and other content, including content that may contain personal information and can be viewed by others, for example, on Class Story or School Story. Learn more about what information may be collected and shared from teachers, school leaders, students and parents and who can view these stories here. Additionally, teachers can post Activities on ClassDojo. Such information may include activity title, instructions, and the type of content they expect students to respond with (e..g, photo, video, drawing, or journal entry). Once a teacher publishes such Activities, they can be viewed by their students, other teachers using ClassDojo at that teacher’s school, and by other teachers that ClassDojo may share with pursuant to the Terms of Service (unless a teacher opts-out), but they will not be viewable by the general public. Parents can also upload photos, videos, and other content, which may contain personal information, through utilizing the Messaging and Premium Features features. Purchasing Premium Features: As a parent, when you purchase any Premium Features, you will first need to have your own parent account. You will then be required to use either your Apple ID, Google Account, or other payment method to purchase the Premium Features. Prior to allowing your child (or children) access to the Kids Tab within the Premium Features, we will also require parental consent. We do not collect any credit card information directly from parents to purchase Premium Features, nor is any credit card data passed back to us from any payment method you used to purchase the Premium Features. Please see here for a list of what information we receive from third-parties in connection with your payment method. Testimonials: We may collect certain personal information (such as your name, photo, and/or video) if you choose to give us a testimonial. We post testimonials on our Service which may contain this personal information in the testimonial. We obtain the individual’s consent in advance to ensure we have permission to post this content publicly. To request removal of your personal information from our testimonials, please contact us at privacy@classdojo.com. Contact Information: As a general visitor to the ClassDojo Website or as a user of the Service, you may choose to provide us with your personal information, such as a name, email address and telephone number. Some examples include when you send us an email asking a question, participate in a video testimonial about our Service, or choose to participate in any research efforts with ClassDojo to improve the Service). When you send us a message using the "Contact Us" page or via email, the email addresses and phone numbers collected are not further used to market to the individual beyond providing the services requested or responding to the requests. Our use of the information above is described below in the section “How Does ClassDojo Use the Information it Collects.” If you are using the ClassDojo App, we may ask you for certain permissions - please see here for more detail about those permissions. We have also prepared this chart of the personal information we collect, how we use it, and where it is stored. We ask you for different types of information based on who you are (i.e., teacher, school leader, parent, and student) and which ClassDojo features you use (e.g., sending a message between a teacher and a parent, or helping a teacher or parent join their school). You may also choose to provide us with certain personal information as a general ClassDojo Website visitor. Local storage: We may also use, collect, and store information locally on your device using mechanisms such as browser web storage (including HTML5) and application data caches. Like many services, ClassDojo uses these technologies to analyze trends, gather demographic information, understand your engagement with the ClassDojo Website, administer the Service, tailor the Service for you, and to help the Service work better for you - for example, by remembering your language preferences. Please read our Online Tracking Technologies Policy for more details. Device information: We collect device-specific information such as your device type, device brand, operating system, hardware version, device settings, file and software names and types, battery and signal strength, and device identifiers. This helps us measure how the Service or ClassDojo Website is performing, improve ClassDojo for you on your particular device, and send you push notifications if you’ve opted in to receive them. Mobile application information: Certain mobile applications or “apps” include a unique application number. This number and information about your installation (for example, the operating system type and application version number) may be sent to ClassDojo when you install or uninstall that application, such as when you install the ClassDojo App, when you open the application, or when that application periodically contacts our servers, such as for automatic updates. Additionally, we may receive application state and crash log information which will help us debug and improve the ClassDojo App. This information helps us make decisions about what we should work on next - for example, by showing which features are most (or least!) popular and to send notifications to a device (such as push notifications if the user opted in) to encourage the user to finish an activity or start the next activity. Location information: When you use our Service or browse the ClassDojo Website, we may collect and process information about your geographic location, for example based on your IP address. We collect both coarse (i.e., city-level) location data and precise location data. If we collect precise geolocation information (“precise” meaning sufficient to identify street name and name of city or town) from you (such as when a teacher or parent is searching for a school), we ask for your explicit opt-in permission. We never collect precise geolocation data from students. We will not store or track your device location on an ongoing basis or without your permission. We do not share precise geolocation data with third-parties, other than our service providers as necessary to provide the Service. If you no longer wish to allow us to track your location information, you may opt-out at any time by turning it off at the device level. Cross-device collection: To provide users with a seamless online experience, we may link your identifiers on different browsers and environments you are using our syncing technology, DojoCast. With DojoCast, ClassDojo is able to provide a seamless experience across multiple devices and browsers without collecting or processing any additional identifying personal data. We process this information given our legitimate interest in improving the Service and the ClassDojo Website and our users’ experience with it, in protecting the Service and the ClassDojo Website, where necessary for the adequate performance of the contract with you, and to comply with applicable laws. Additionally, we will process your personal information for the purposes listed in this section related to marketing given our legitimate interests in undertaking marketing activities to offer you products and services that may be of your interest. You can opt-out of receiving marketing communications from us by following the unsubscribe instructions included in our marketing communications or changing your notification settings within your ClassDojo account. ClassDojo doesn’t sell or rent your information to third-parties, we don’t permit third-party advertising on ClassDojo, and personal information collected from students is never used for behaviorally-targeted advertising to students. We use your information to provide and personalize the Service and the ClassDojo Website to you, optimize and improve our Service and the ClassDojo Website, communicate with you about our Service and the ClassDojo Website, and for security and safety reasons. We may also use the information provided by parents and teachers to provide parents and teachers information about events, announcements, offers, promotions, products, including third-party products, and services we think will be of interest to you. Other Users You Share and Communicate with on ClassDojo: No teacher, school leader, parent or student profiles are made available to the general public through our Service. Furthermore, students cannot share their account information or portfolio with anyone on ClassDojo, outside of their parents, teachers, or school leaders. If you are a teacher, school leader, or a parent, you may choose to share information or content through the Service with other ClassDojo teachers, school leaders, students, or parents - for example, things like your account information, feedback points awarded to students you teach (if you are a teacher or school leader) or to your children (if you are a parent) or other information you share with teachers, school leaders, or parents you are communicating with through ClassDojo Messaging, Class Story, or School Story or our other collaboration features. Please keep in mind that information (including personal Information or children's personal information) or content that you voluntarily disclose to others - including to other ClassDojo users you interact with through the Service (such as messages you might send other users or other teachers and school leaders you collaborate with) - can be viewed, copied, stored, and used by the people you share it with. We cannot control the actions of people with whom you choose to share information and we are not responsible for the collection, use or disclosure of such information or content by others. Third-party integrations on our Service: When, as a teacher, school leader, student, or parent, you use third-party apps, websites or other services that use, or are integrated with, our Service, they may receive information about what you post or share. For example, when you share a Big Ideas activity on Twitter or Facebook, these services receive the information that you share through this functionality, and information that you are sharing from ClassDojo. We may also have third-party integrations on the ClassDojo Website (non-user logged in areas). Please see here for more information on Social Media Features and here for more information on third-party services. Please see here for a list of third-party app integrations on our Service and the ClassDojo Website. Social Media Platforms: Where permissible according to applicable law, we may share certain limited personal information with social media platforms (such as Google or Facebook) and other websites, applications or partners, to generate leads, drive traffic to our websites or otherwise market and advertise our products or services on those websites or applications (this will never include personal information of students). These processing activities are based on our legitimate interest in undertaking marketing activities to offer you products and services that may be of your interest. These social media platforms with which we may share your personal information are not controlled or supervised by ClassDojo. Therefore, any questions regarding how your social media platform processes your personal information should be directed to such provider. Analytics Services: We use analytics services, including mobile analytics software, to help us understand and improve how the Service and ClassDojo Website is being used. These services may collect, store and use information in order to help us understand things like how often you use the Service or the ClassDojo Website, the events that occur within the application, usage, performance data, and from where the application was downloaded. A current list of analytics providers that we use is located here. Aggregated Information and Non-Identifying Information: We may share aggregated information (information about our users that we combine together so that it no longer identifies or references an individual user) and other de-identified or non-personally identifiable information (such as statistics about visitors, traffic and usage patterns), including with users, partners or the press in order to, for example, demonstrate how ClassDojo is used, spot industry trends, or to provide marketing materials for ClassDojo. Any aggregated information and non-personalized information shared this way will not contain any personal information. Legal Requirements: We may disclose information, including personal information, if we have a good faith belief that doing so is necessary to comply with the law, such as complying with a subpoena or other legal process. We may need to disclose personal information where, in good faith, we think it is necessary to protect the rights, property, or safety of ClassDojo, our employees, our community, or others, or to prevent violations of our Terms of Service or other agreements. This includes, without limitation, exchanging information with other companies and organizations for fraud protection or responding to law enforcement and government requests. Where appropriate, we may notify users about the legal requests, unless (i) providing notice is prohibited by the legal process itself, by court order we receive, or by applicable law; (ii) we believe that providing notice would be futile, ineffective, create a risk of injury or bodily harm to an individual or group, or create or increase a risk of fraud upon ClassDojo, or its users. In instances where we comply with legal requests without notice for these reasons, we will attempt to notify that user about the request after the fact where appropriate and where we determine in good faith that we are no longer prevented from doing so. In the unlikely event that ClassDojo goes out of business, or files for bankruptcy, we will protect your personal information, and will not sell it to any third-party. For more information on our practices regarding your data if we go out of business, please see our FAQ. With your consent: Other than the cases above, we won’t disclose your personal information for any purpose unless you consent to it. ClassDojo doesn’t sell or rent your personal information to any third-parties. We believe your information is yours, and you should own it - we think that’s the right way to operate. We share some information with service providers who help us provide you with the Service and the ClassDojo Website – like companies that help us send emails, for example, or if we have to to comply with the law. Additionally, you may choose to share information with other users of the Service or to third-parties that are integrated on our Service or the ClassDojo Website. And, if ClassDojo is ever acquired or goes out of business, our commitments don’t change: we still won’t sell or rent your personal information to anyone. Your personal information will continue to be protected by this policy, and any company that acquires ClassDojo will have to abide by this policy, unless you give consent to a new policy. ClassDojo’s database where we store your personal information is encrypted at rest, which converts all personal information stored in the database to an unintelligible form. The Service and the ClassDojo Website is hosted on servers at a third-party facility, with whom we have a contract providing for enhanced security measures. For example, personal information is stored on a server equipped with industry standard firewalls. In addition, the hosting facility provides a 24x7 security system, video surveillance, intrusion detection systems and locked cage areas. We automatically delete inactive student accounts after a specific period of time, as per our retention policy, described in the “How Long Does ClassDojo Keep Children’s Information?” section. For additional information on our security practices, please visit our Privacy Center. Although we make concerted good faith efforts to maintain the security of personal information, and we work hard to ensure the integrity and security of our systems, no practices are 100% immune, and we can’t guarantee the security of information. Outages, attacks, human error, system failure, unauthorized use or other factors may compromise the security of user information at any time. If we learn of a security breach, we will attempt to notify you electronically (subject to any applicable laws and school reporting requirements) so that you can take appropriate protective steps; for example, we may post a notice on our homepage (www.classdojo.com) or elsewhere on the Service, and may send email to you at the email address you have provided to us. Depending on where you live, you may have a legal right to receive notice of a security breach in writing. The security of your information is important to us, and we take it very seriously. We’re always adding safeguards to ensure the safety and security of ClassDojo and our community of teachers, school leaders, parents, and students. You can help us out by keeping your password and QR code secret! When you enter information anywhere on the Service or the ClassDojo Website, we encrypt the transmission of that information using SSL by default. As you can see, we try to be transparent about what information we collect, so that you can make meaningful choices about how it is used. You control the personal information you share with us. You can access or rectify this information at any time. You can also delete your account. We also provide you tools to object, restrict, or withdraw consent where applicable for the use of personal information you have provided to ClassDojo. We also make the personal information you share through our Service or the ClassDojo Website portable and provide easy ways for you to contact us. You may exercise any of these rights described in this section by sending an email to privacy@classdojo.com or making a request here. Please note that we may ask you to verify your identity before taking further action on your request. At ClassDojo, we believe that more transparency is better. We try to give you control, with easy settings and options, so that you can make good choices when it comes to your information and how it is used. We also set forth the ways in which you can exercise your rights to access, correct, and delete your personal information as well as your right to take information out of ClassDojo and object or withdraw consent. ClassDojo aims to provide you with easy access to any personal information we have collected about you and give you easy ways to update it or delete it, unless we have to keep that information for legitimate business purposes (e.g., we need at least an email address for your account if you maintain an account with us) or legal purposes. You have the right to correct inaccurate or incomplete personal information concerning you (and which you cannot update yourself within your ClassDojo account). Managing Your Information: If you have registered for an account on ClassDojo, you may update, correct, or delete some of your profile information or your preferences at any time by logging into your account on ClassDojo and accessing your account settings page. You may have to verify your identity before you can do that. You may also, at any time, update, correct, or delete certain personal information that you have provided to us by contacting us at privacy@classdojo.com or by following the instructions here. We will respond to your request within a reasonable timeframe. Accessing Your Information: Upon request, ClassDojo will provide you with information about whether we hold any of your personal information, and, If you are a user of ClassDojo, you may request access to all your personal information we have on file by contacting us at privacy@classdojo.com or by following the instructions here. In some cases, we won’t be able to guarantee complete access due to legal restrictions - for example, you will not be allowed to access files that contain information about other users or information that is confidential to us. Accessing Your Child’s Information: Visit our “Parental Choices” section to see how you can obtain copies of your child’s personal information. We may reject requests for access, change or deletion that are unreasonably repetitive, require disproportionate technical effort (for example, developing a new system or fundamentally changing an existing practice), risk the privacy of others, or would be extremely impractical (for instance, requests concerning information residing on backup systems). Where we can provide information access and correction, we will do so for free, except where it would require a disproportionate effort. You have certain rights to access, update and correct your personal information. You can always access and manage your personal information through your ClassDojo account, or by contacting us or your child’s school if they created your child’s account. Please see here for more information on accessing your child’s information. We hope you love using ClassDojo now and always. However, if for some reason you ever want to delete your account (or your child’s account, if you are his or her parent), you can do that at any time by contacting us at privacy@classdojo.com or by following the instructions here. If you are a parent, teacher, or school leader using the Service, you may also delete your account by logging into your account and accessing your account settings page. When you delete your account, we delete your profile information and any other content you provide in your profile (such as your name, username, password, email address, and profile photos) and depending on the category of user you are (i.e., teacher, school leader, parent, or student), feedback points awarded in school and information collected through the mobile permissions you’ve granted. Information that you have shared with others, others have shared about you, or content other users may have copied and stored, is not part of your account and may not be deleted when you delete your account. Additionally, please note, that even if your account is deleted, messages sent between teachers and parents (or Portfolio Comments between teachers and students) are retained to assist schools with various recordkeeping or compliance obligations. This includes, for example, any content uploaded, including photos and videos on Messaging, Portfolios, Class Story, or School Story, which we consider messaging between parents and teachers. Additionally, some content within a student account, such as Student Activity Responses and other content uploaded by the student and/or teacher, will be kept after the student account is deleted for school legal compliance reasons (e.g., maintenance of “education records” under FERPA or “student records” under various state student privacy laws). If you would like this content deleted, please first put in a request to your (or your child’s) school. If the school determines that the request should be implemented, the school may submit the request to ClassDojo by emailing privacy@classdojo.com. For more details, please read “What happens when I delete my account?” in our FAQs. We aim to maintain our services in a manner that protects information from accidental or malicious destruction. Because of this, even after you update or delete personal information you have provided us from our Service, your personal information may be retained in our backup files and archives for a reasonable period of time as necessary for our legitimate business interests, such as fraud detection and prevention and enhancing safety. For example, if we suspend a ClassDojo account for fraud or safety reasons, we may retain certain information from that account to prevent that user from opening a new account in the future. Also, we may retain and use your personal information to the extent necessary to comply with our legal obligations. You can always delete your account by visiting your account settings, or simply by contacting us. For more details on what happens when you delete your account, click here. Please note that some content will not be deleted given various compliance and recordkeeping obligations schools have. Please contact your (or your child’s) school if you would like all of this content deleted. If the school determines that the request should be implemented, they may submit a request to us. Where you have provided your consent to the processing of your personal information by ClassDojo you may withdraw your consent at any time by changing your account settings or by sending a communication to ClassDojo specifying which consent you are withdrawing. Please note that the withdrawal of your consent does not affect the lawfulness of any processing activities based on such consent before its withdrawal. ClassDojo provides parents and teachers with the opportunity to withdrawal consent or ‘opt-out’ of receiving any future marketing communications from ClassDojo and its partners at any time. Please see the “What communications will I receive from ClassDojo?” section below for more information. Additionally, you can always decline to share personal information with us, or even block all cookies. However, it’s important to remember that many of ClassDojo’s features may not be accessible, or may not function properly - for example, we may not be able to remember your language preferences for you. In some jurisdictions, applicable law may entitle you to require ClassDojo not to process your personal information for certain specific purposes (including profiling) where such processing is based on legitimate interest. If you object to such processing ClassDojo will no longer process your personal information for these purposes unless we can demonstrate compelling legitimate grounds for such processing or such processing is required for the establishment, exercise or defence of legal claims. Additionally, in some jurisdictions, applicable law may give you the right to limit the ways in which we use your personal information, in particular where (i) you contest the accuracy of your personal information; (ii) the processing is unlawful and you oppose the erasure of your personal information; (iii) we no longer need your personal information for the purposes of the processing, but you require the information for the establishment, exercise or defence of legal claims; or (iv) you have objected to the processing as set forth below and pending the verification whether the legitimate grounds of ClassDojo override your own. You have the right to withdraw consent for the collection of your personal information, and also opt-out of marketing communications from us. You may also be able to limit the ways in which ClassDojo uses your personal information. Just email us at privacy@classdojo.com and we’ll help you right away. If you are located in the European Union or the EEA, you have a right to lodge complaints about the data processing activities carried about by ClassDojo with ClassDojo’s lead supervisory authority, the Information Commissioner’s Office. You can find their contact details here. Pursuant to Article 27 of the GDPR, ClassDojo, Inc. has appointed European Data Protection Office (EDPO) as its GDPR representative in the EU. You can contact EDPO regarding matters pertaining to the GDPR by sending an email to privacy@edpo.brussels, using EDPO’s online request form, or writing to EDPO at Avenue Huart Hamoir 71, 1030 Brussels, Belgium. If you're located in the EU and would like to make a complaint, contact our local authority here. Additionally, you can contact ClassDojo’s appointed local representative in the EU, European Data Protection Office (EDPO) using their online request form. We store your personal information for as long as it is necessary to provide the Service to you and others, including those described above. Personal information associated with your account will be kept until your account is deleted, unless we no longer need the data to provide products and services, in which case we will delete prior to you deleting your account. Please note that we may have to retain some information after your account is closed, to comply with legal obligations, to protect the safety and security of our community or our Service, or to prevent abuse of our Terms. You can, of course, delete your account at any time, as per the “How can I delete my account?” section. Additionally, please note, that even if your account is deleted, messages sent between teachers and parents are retained to assist schools with various recordkeeping or compliance obligations. Additionally, some content uploaded by a teacher, school leader, or parent, including photos, videos, and Portfolio Comments on Messaging, Portfolios, Class Story, or School Story, are retained at the direction of the school (e.g., for legal compliance reasons such as maintenance of “education records” under FERPA or “student data” under various state student privacy laws) and will not be deleted until we receive direction from the school. For more details, please read “What happens when I delete my account?” in our FAQs. Please see the “How Long Does ClassDojo Keep Children’s Information?” for details on how long we retain data for Student Users. We keep teacher, school leader, and parent personal information until your account is deleted, or until we no longer need it to provide you with the Service. We only keep student personal information for as long as the student’s account is active, unless we are required by law or the student’s school to retain it, or need it to protect the safety of our users. Additionally, for students, we have our 3-Tier Student Data Protection Policy that states how we delete students’ information after some time. Note that some content may be kept after an account (student, parent, or teacher) is deleted for school legal compliance reasons (e.g., maintenance of “education records” under FERPA). If you registered on ClassDojo, provided an email or phone number to us, or otherwise opted-in to receive communications from us, we may send you messages and updates regarding your account, including privacy and security notices, updates regarding the Service or ClassDojo Website, and information regarding products, features or services from ClassDojo (or third-parties we believe you may be interested in). These communications may include, but are not limited to, social media updates, SMS/MMS messages, push notifications, email, and postal mail. If you have an account with us, we’ll also use your email address to contact you for customer service purposes, or for any legal matters that arise in the course of business. We may receive a confirmation when you open an email from us if your device supports it. We use this confirmation to help us understand which emails are most interesting and helpful. If you invite another person to join you on ClassDojo by providing their email address or phone number, we may contact them regarding the Service using the appropriate form of communication. If they would prefer not to receive our communications, they may opt-out using the “Unsubscribe” or “STOP” instructions contained in those communications. If, as a parent/legal guardian of a student, you provided an email address or phone number to your child’s school, ClassDojo, at the direction of the school, may send an invitation to join ClassDojo via the email or phone number your student’s teacher provided ClassDojo. The invitation may be sent via email or SMS/MMS text message. If, as a parent/legal guardian, you provide your telephone number to your child’s school, you are consenting to ClassDojo (on behalf of and at the direction of your child’s school) sending informational text messages closely related to the school’s mission. You can always unsubscribe from receiving any of our 1) marketing emails or other marketing communications whenever you’d like by clicking the “Unsubscribe” link at the bottom of the email; 2) marketing SMS texts by replying or texting ‘STOP’ to ‘23656’; or 3) marketing push notifications by turning off push notifications on your device. From time to time, we may send you useful messages about updates or new features. You can always opt-out of these messages if you’d rather we didn’t contact you. In addition, if we ever make significant changes to the types of personal information we collect from children, or how we use it, we will notify parents in order to obtain parental consent or notice for those new practices and provide schools with the necessary information about these changes where they have obtained parental consent (or acted as the agent of the parent and provided consent on their behalf). When teachers, school leaders, and parents enter information directly into our Service, ClassDojo will generally be the Controller for the user data, as outlined above in “What information does ClassDojo collect?” section. However, in certain circumstances, where requested by the student’s school, ClassDojo will be the Processor, and will only delete records per the school’s specific instructions and will request that you make any requests for access, correction or deletion of personal information through the school. ClassDojo will respond to such requests when received from the school. Please see ClassDojo’s policy on data retention and deletion. ClassDojo is hosted and operated in the United States. If you use the Service or the ClassDojo Website from the European Union, or any other region with laws governing data collection, protection and use that may differ from United States law, please note that you may be transferring your personal information outside of those jurisdictions to the United States. Where we transfer, store and process your personal information outside of the European Union or EEA, we have ensured that appropriate safeguards are in place to ensure an adequate level of protection for the rights of data subjects based on the adequacy of the receiving country’s data protection laws, or EU-US and Swiss-US Privacy Shield principles. Our servers are located in the U.S., so if you are using the Service from any other country, your data might be transferred to the U.S.
ClassDojo complies with the EU – U.S. Privacy Shield Framework and Swiss – U.S. Privacy Shield Framework as set forth by the U.S. Department of Commerce regarding the collection, use, and retention of personal information transferred from the European Union and Switzerland to the United States. ClassDojo certified to the Department of Commerce that it adheres to the Privacy Shield Principles. To learn more about the Privacy Shield program, and to view our certification, please visit https://www.privacyshield.gov/. ClassDojo is responsible for the processing of personal information it receives, under the Privacy Shield Frameworks, and subsequently transfers to third-parties acting as an agent on its behalf. ClassDojo complies with the Privacy Shield Principles for all onward transfers of personal information from the EU and Switzerland, including the onward transfer liability provisions. With respect to personal data received or transferred pursuant to the Privacy Shield Frameworks, ClassDojo is subject to the regulatory enforcement powers of the U.S. Federal Trade Commission and other authorized statutory bodies. In certain situations, ClassDojo may be required to disclose personal data in response to lawful requests by public authorities, including to meet national security or law enforcement requirements. If you have an unresolved privacy or data use concern, please contact our U.S.-based third-party dispute resolution provider, free of charge here. ClassDojo is certified as an approved company under the EU – U.S. Privacy Shield and Swiss — U.S. Privacy Shield. We endeavor to provide privacy protection that is consistent with Canada’s private sector privacy laws, including the Personal Information Protection and Electronic Documents Act (“PIPEDA”). For any questions regarding how we comply with PIPEDA, please contact us at privacy@classdojo.com. ClassDojo works hard to provide privacy protections consistent with PIPEDA in Canada. Do Not Track: Currently, various browsers offer a “do not track” or “DNT” option that relies on a technology known as a DNT header, which sends a signal to Web sites visited by the user about the user’s browser DNT preference setting. ClassDojo does not track its users over time and across third-party websites to provide behaviorally-targeted advertising and therefore does not respond to Do Not Track (DNT) signals. For more information on “do not track”, please visit www.allaboutdnt.org. Third-parties that have content embedded on the ClassDojo Website, such as a social feature, or an embedded video player, may set cookies on a user’s browser and/or obtain information about the fact that a web browser visited a the ClassDojo Website from a certain IP address. Third-parties cannot collect any other personally identifiable information from ClassDojo’s websites unless you provide it to them directly. We do not track our users over time across third-party websites to provide behaviorally-targeted advertising and thus do not respond to Do Not Track signals. If you are under the age of 18, or the parent of a child using ClassDojo under the age of 18 residing in California, you are entitled to request removal of content or information you (the minor) have publicly posted on our Service. Currently, we do not allow minors to post content to share publicly, but we do still allow minors (or the minor’s parents if under 13) the option to delete personal information associated with their user accounts or content that they upload through their student account (which is not shared publicly (only the student’s parents, teachers, or school leaders can view). If you are a minor, or the parent of a minor under 13, and would like to delete personal information associated with your account or content you uploaded through your account, please follow the directions set forth in the “ClassDojo’s commitments to providing Transparency and Your Rights” section, which may include the need to contact your school first. Although we offer deletion capabilities on our Service, you should be aware that the removal of content may not ensure complete or comprehensive removal of that content or information posted through the Service, as there may be de-identified or recoverable elements of your content or information on our servers in some form. Additionally, we will not remove content or information that we may be required to retain at the direction of the school or under applicable laws. If you are a minor or parent of a minor, you may delete information per the "How can I delete my account?" section. Questions? We're here to help! Email us any time at privacy@classdojo.com. For teachers, school leaders, parents, students, or administrators seeking more information on how we provide safety on ClassDojo, we provide privacy and security related materials on our Privacy Center. For our Online Tracking Technologies Policy, please see here. For our chart that details the personal information we collect, how we use it, and where it is stored, please see here. If you’d like some more safety and privacy resources for your school, please visit our Privacy Center. For definitions of Key Terms used in this policy and our Terms of Service, visit here.